Printed in shimmering gold foil and wrapped in sparkling rose gold glitter. Is there a better way to introduce the best day of your life? 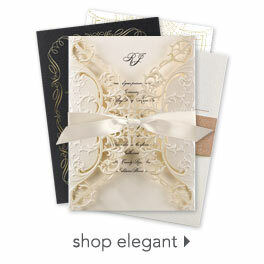 These luxury wedding invitations are one-of-a-kind beautiful.